North Korea spent at least US$4 billion on luxury cars, watches and jewelry since Kim Jong-un came to power in 2012, analysis of Chinese customs data suggests. 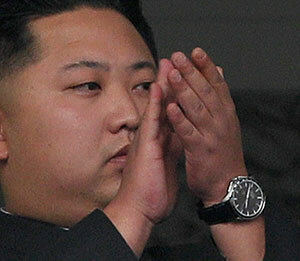 The products were bought either for direct use by the ruling Kim family or as gifts to buy the loyalty of the elite. Last year alone, North Korea spent $640.8 million on luxury goods despite international sanctions banning their sale to the impoverished country. That is equivalent to 17.8 percent of North Korea's total imports from China last year of $3.7 billion. Liberty Korea Party lawmaker Yoon Sang-hyun on Sunday said that he analyzed the Chinese data and found that the North blew $4.04 billion on luxury goods from 2012 to 2017. That broke down into $2 billion worth of electronics, $1.4 billion worth of luxury cars, $165 million worth of liquor, $147 million worth of optical equipment, $52.5 million worth of cosmetics and perfume, $49 million worth of watches, $48 million worth of leather goods, $47 million worth of fur coats, $37.6 million worth of fine carpets, $36 million worth of luxury boats, $12.4 million worth of musical instruments and $7.11 million worth of jewelry. 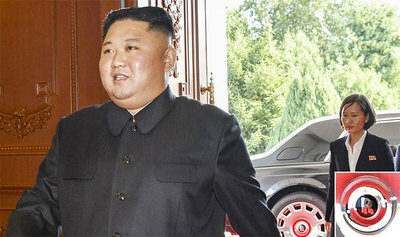 The cars include Kim's bulletproof Mercedes-Benz and a Rolls-Royce believed to have been added to his official rides recently. Luxury cars and watches are favorite gifts for loyal apparatchiks. The musical instruments were mostly likely distributed to members of Moranbong troupe and Samjiyon Orchestra, which mainly sing and perform for the leadership. "If North Korea had used the money it spent on luxury products last year to buy rice on the international market, it could have bought around 1.65 million tons of rice, which is twice the amount of its shortfall of 802,000 tons," Yoon said. "North Korea's food shortage does not stem from a lack of support from the international community but from Kim Jong-un's lack of will to feed his own people." North Korea was apparently able to buy banned goods despite the sanctions because China, which accounts for more than 90 percent of the North's trade, turned a blind eye. "Our government should be calling on China to enforce sanctions, but instead it's rolled up its sleeves to ease those sanctions," Yoon complained. China is slackening controls even further. According to Voice of America, the North Korean vessel Tong San 2, which is on a UN blacklist, was spotted in Chinese waters on Oct. 15. And the Daily NK website on Friday said Chinese cars are being more or less freely smuggled into North Korea as Chinese officials turn a blind eye. Last week, one Singaporean citizen and three companies in the city state were nabbed there on charges of selling $500,000 worth of jewelry and watches to North Korea.